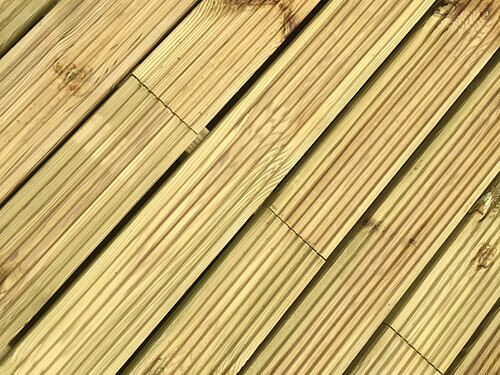 Build your own decking area in the back garden with our easy-to-use, ready-to-assemble complete garden decking kit.. 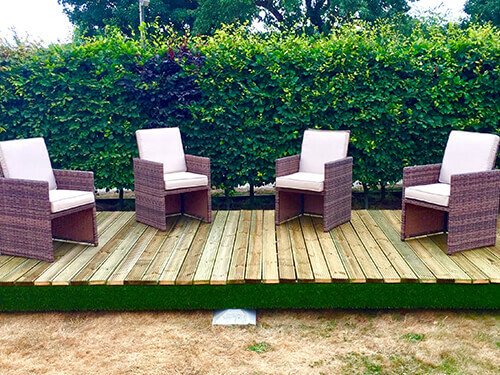 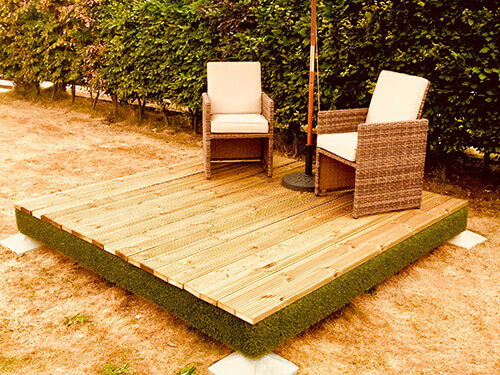 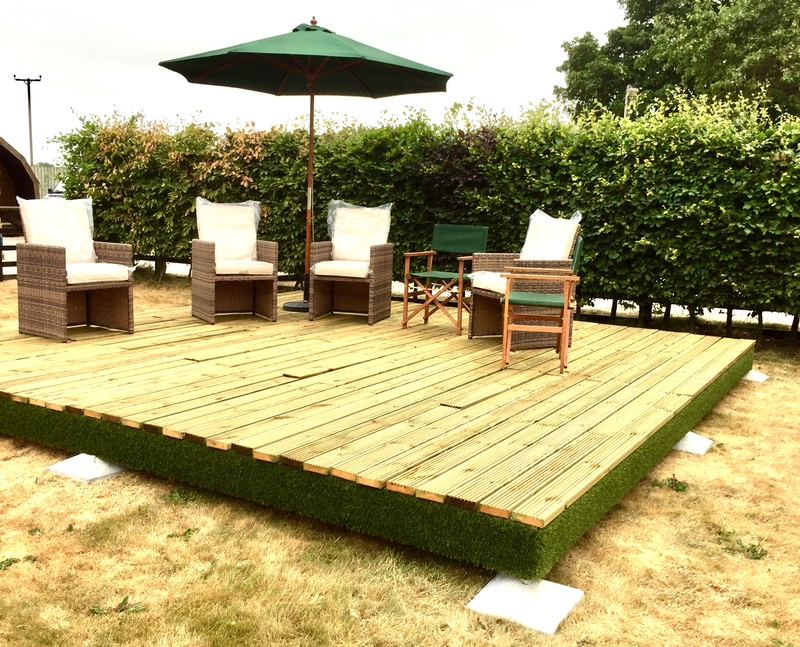 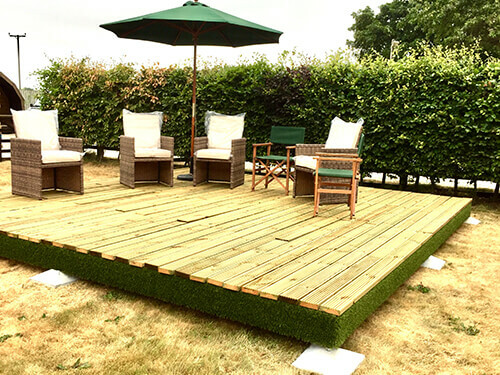 Create your own professional-looking decking area in the back garden without the need to employ a builder, carpenter or landscape gardener and without all the hassle of designing the decking area and building it yourself from scratch. 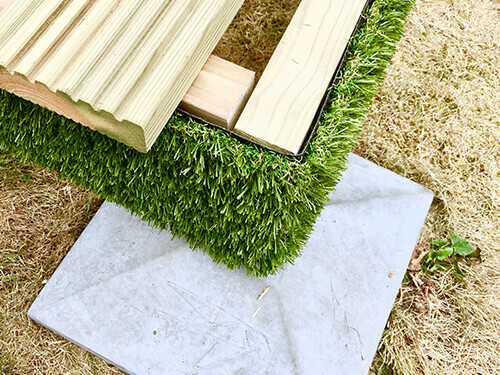 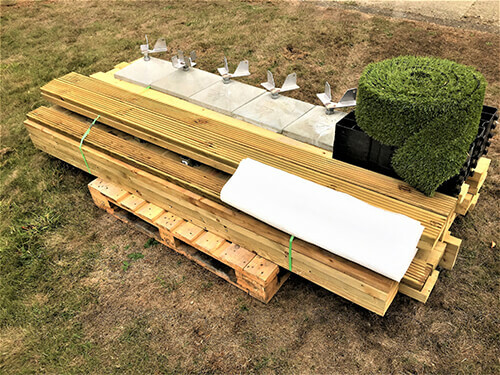 The comprehensive kit of parts means that there are no timbers or boards to cut, no joist hangers to nail in place, no posts to install vertically, and no messy wet-mix concrete to be used. 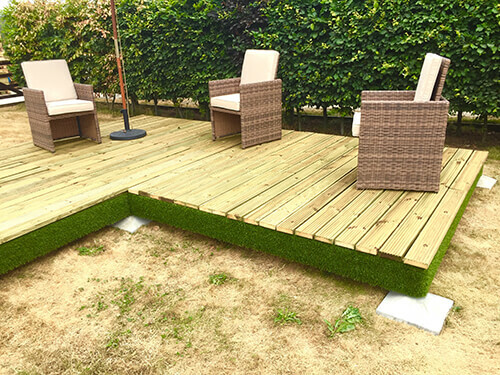 Using the kit also means there is virtually no measuring to do, no additional materials to source other than a stain for the decking boards, and no excess material or waste. 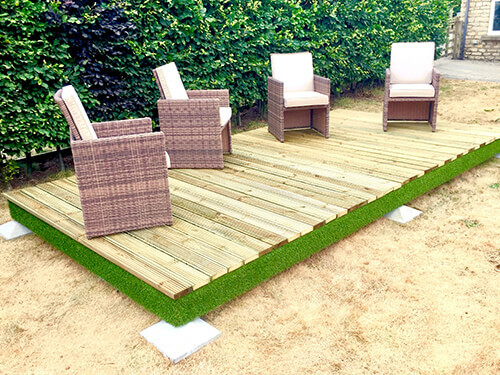 And the kit gets delivered direct to your door on a day to suit you and is ready to install immediately. 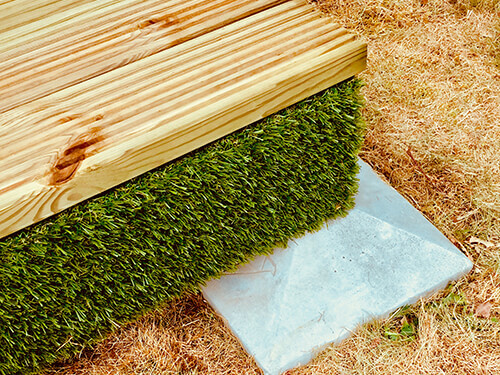 Assembly is quick and easy, following the simple diagram provided and using only basic hand tools. 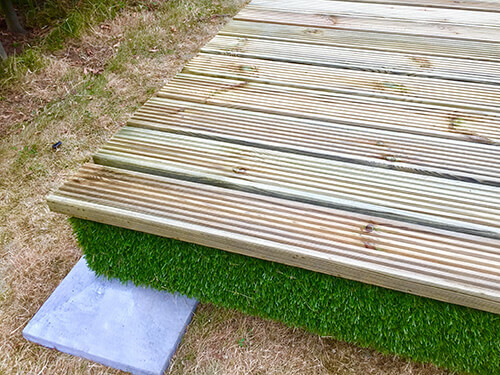 It is well within the capabilities of even a novice DIY-er.